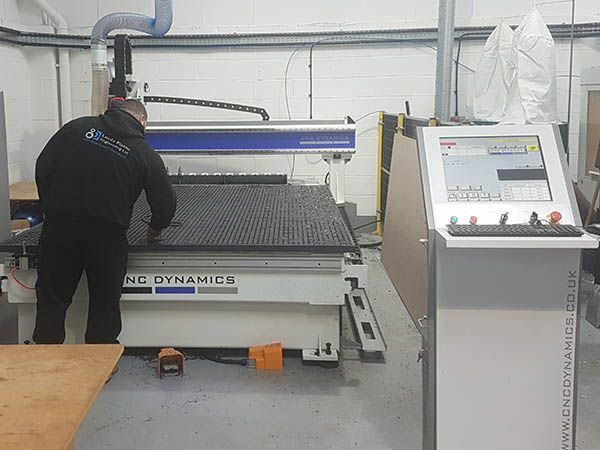 Leeds Plastic Engineering has purchased a new CNC router with a 3m x 2m bed as part of its continued investment programme. The company was supported by a £14,500 grant from the Leeds City Region Enterprise Partnership Business Growth Programme. Director, Gareth Baker comments: “From launching the business in March 2015, we have experienced rapid growth, and with this, we have continuously invested in new machinery to expand our capabilities and increase the capacity of our CNC precision machining services. We are proud that Leeds City Region Enterprise Partnership recognised our appetite and capability for growth and supported our investment plans. The investment in plant and machinery led to the creation of a full-time position for a senior CNC programmer and operator and we are delighted to have been able to welcome Lee Ward to the team, who brings with him over 20+ years of engineering experience and sound knowledge of the plastics industry. Along with an expanded base and increased workforce which provides greater capacity and flexibility, the new machine will allow Leeds Plastic Engineering to manufacture larger bespoke components. Our fabrications department has also benefited from recent investment in a diamond polisher as we look to broaden our client base within the retail POS and merchandising sector. The recent investments, along with a website refresh, and actively working towards ISO 9001 accreditation are the building blocks for the next stage of the company’s development and growth. Leeds Plastic Engineering Ltd are specialists in CNC machining and turning of all types of engineering plastic and non-ferrous materials. The company prides itself both on the quality of output and reliability of service so is well placed to create long lasting partnerships.